In order to see what size is available for this product or what other features it has the customer has to go to the detailed product page. 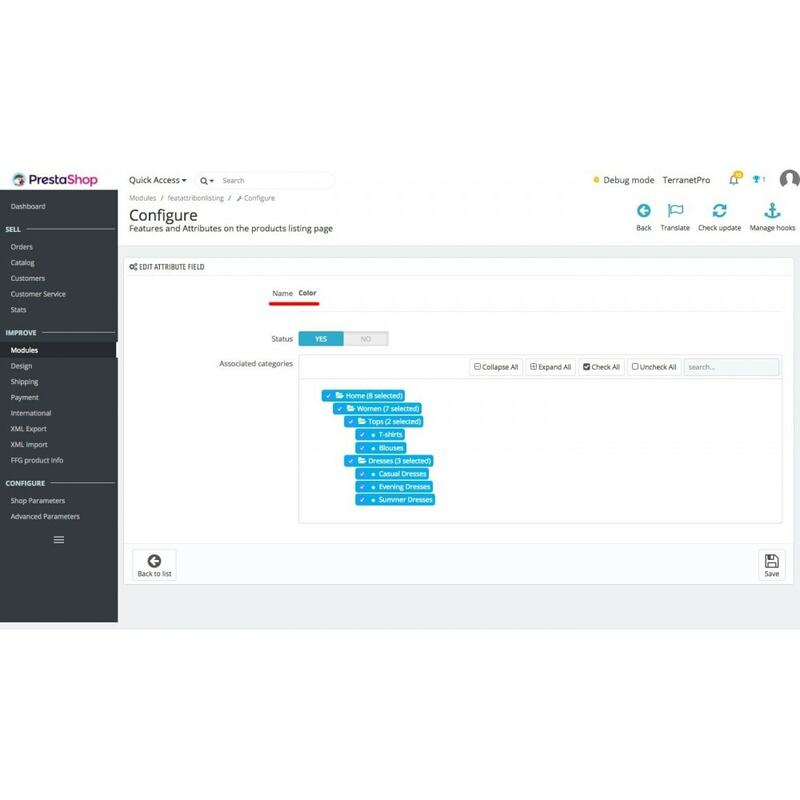 Our module allows you not to go to the detailed product page to see the most important properties of the product under his thumbnail on the product listing page. 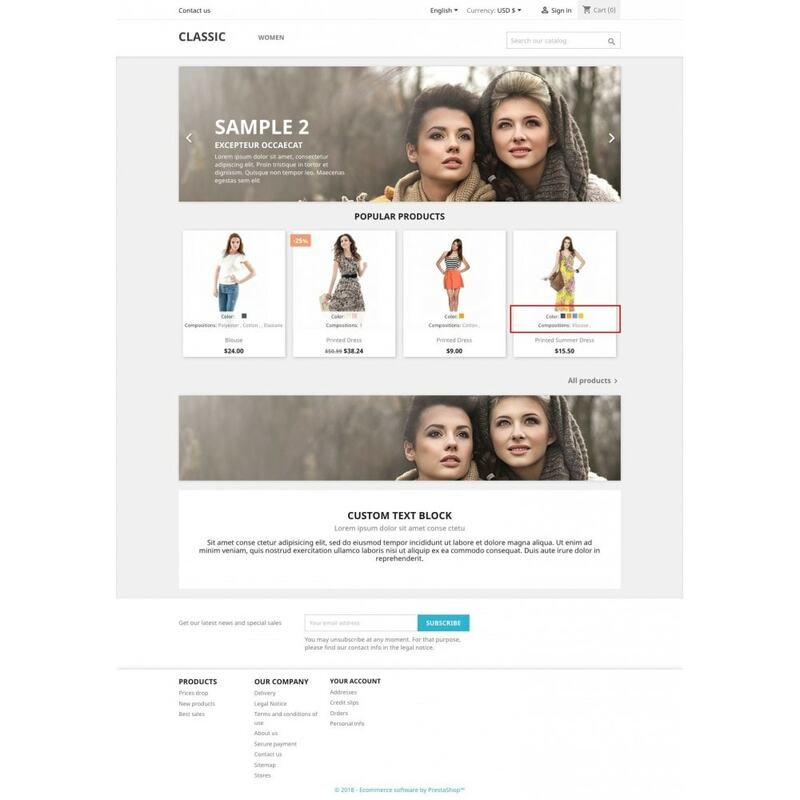 This will allow your customers to receive more detailed information about the product without going to the internal page and make a purchasing decision. 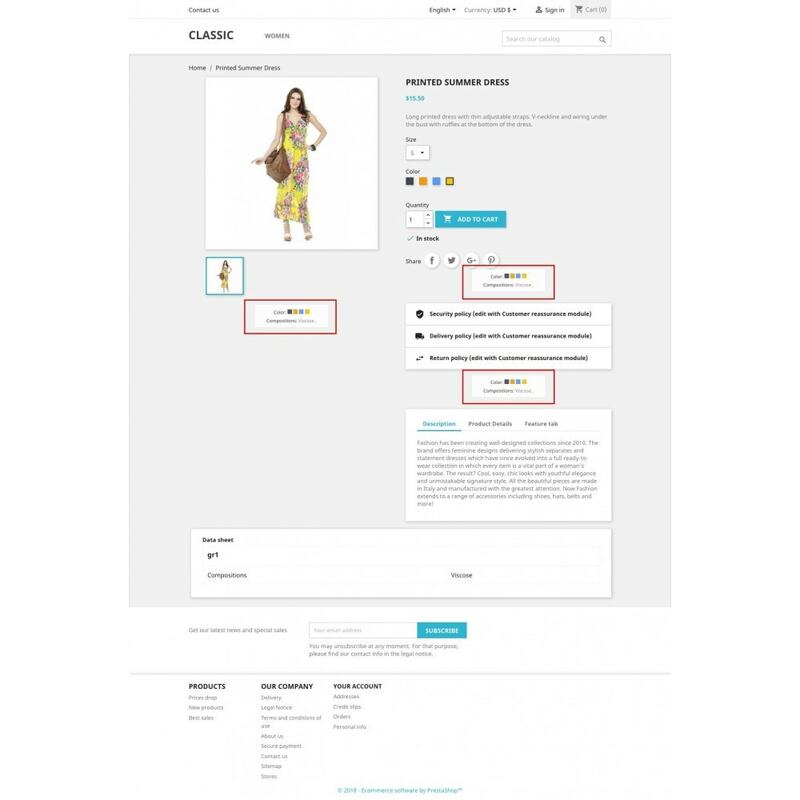 It is also possible to compare products on one page by features and attributes. 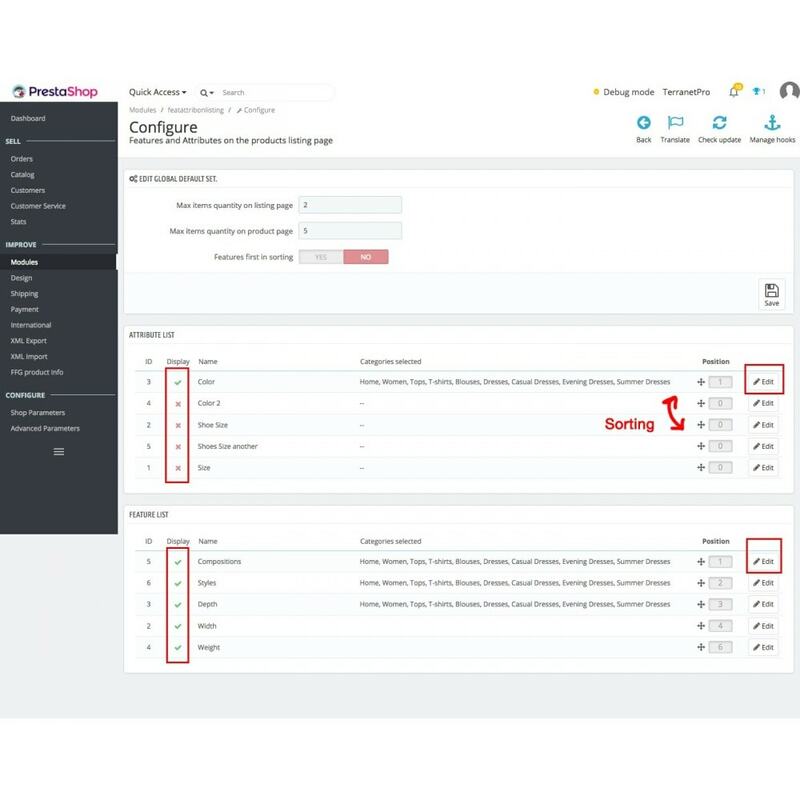 Your client has the ability to see the most important values of attributes and features immediately on the goods listing page. We recommend this module to those who want to help the client in the quick choice of the goods necessary for him.